The Visual & Performing Arts Program at Jesuit High School seeks to develop and cultivate the creative imagination of each of our students, who then bear witness to the beauty and imagination of God alive in our world. The Arts teach our students to be creative, collaborative, compassionate and confident – skills that will serve them in all lifelong endeavors. The Arts provide a platform for dialogue when all other discourse fails, and serve as a vehicle for social change. Finally, we believe the Arts are the gateway by which God is given a human form that has the power to concretely impact and transform the lives of our students. This encounter helps them discover the greatness within themselves, and ultimately, in all of humanity. 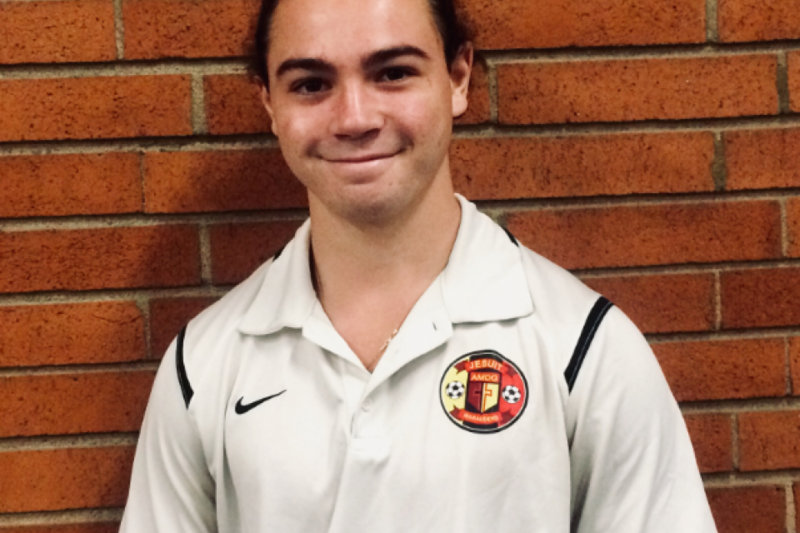 I entered Jesuit thinking that I was going to play rugby and soccer all four years, and have a simple, pleasurable experience. It wasn’t until I was signing up for classes before my freshman year that I even thought about choir. The class was called Men’s Chorus, I signed up, and it was a spontaneous decision that I will never regret. I had never had any experience in choir before, but it became my favorite class and Ms. Heine became my favorite teacher. At the freshman year Christmas concert I had a solo.